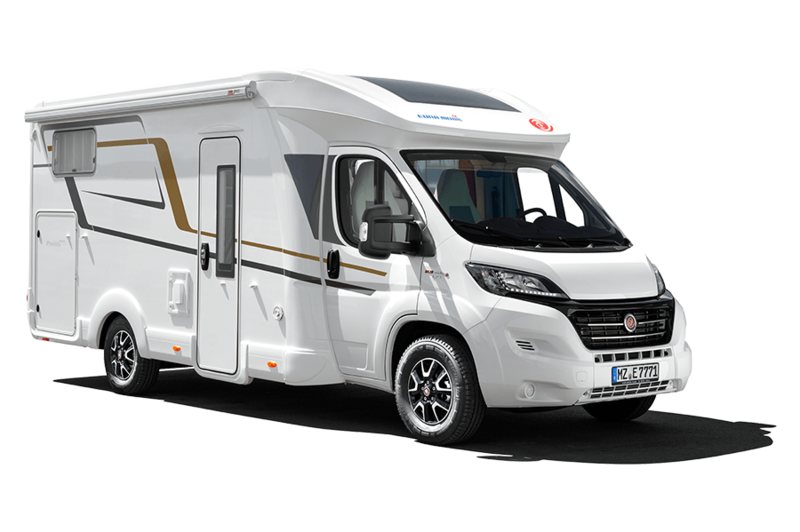 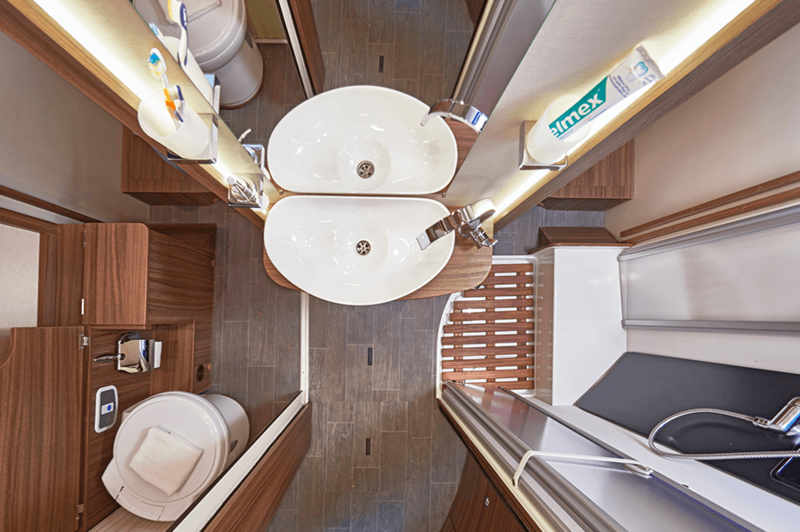 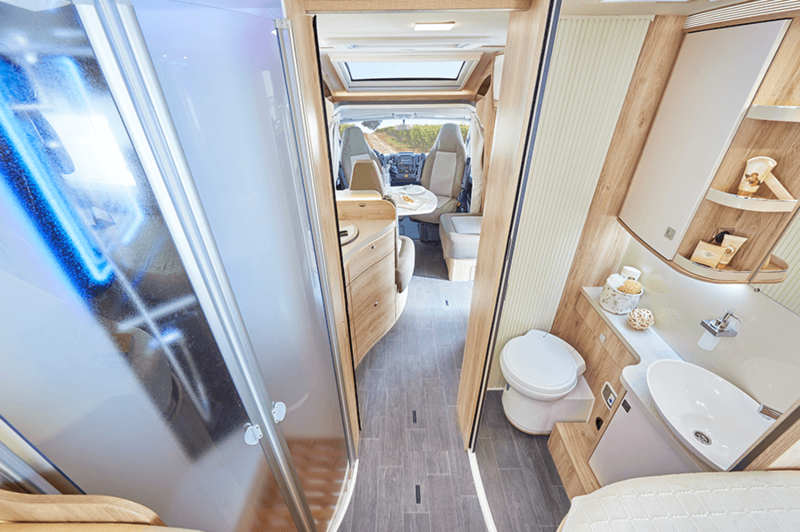 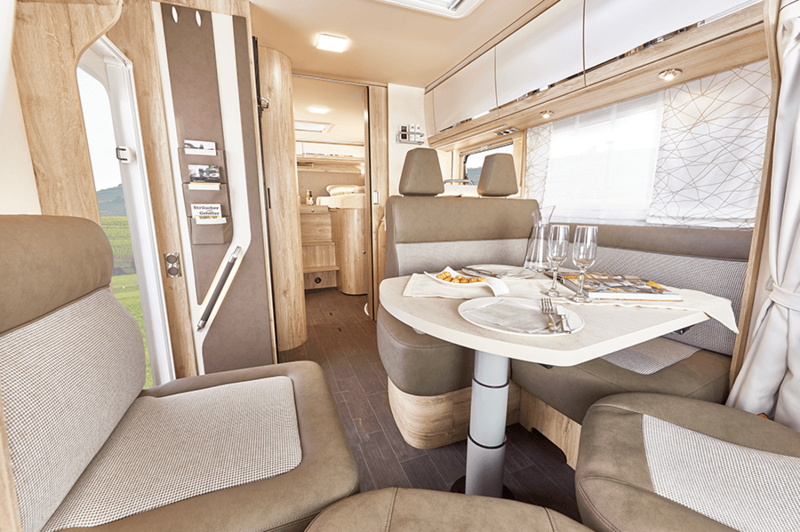 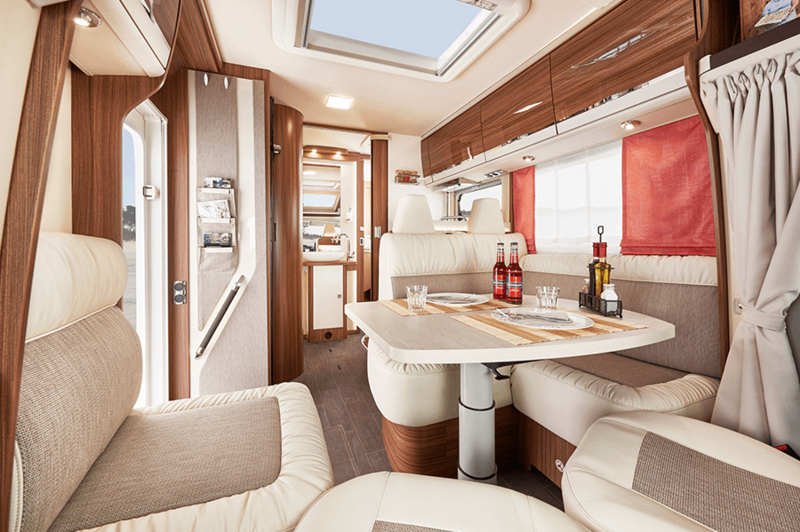 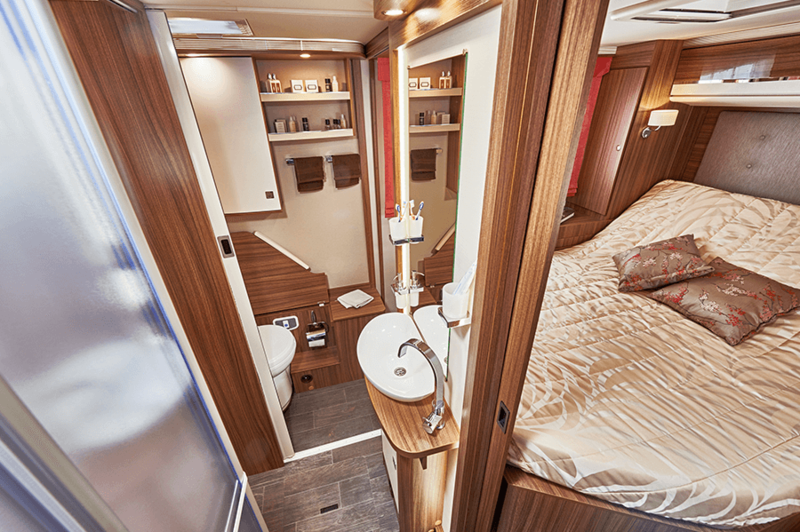 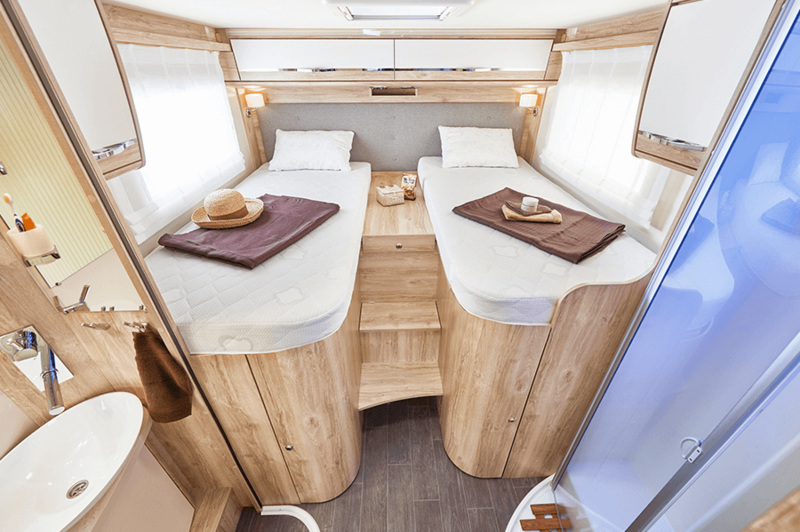 OPEN SPACIOUS AND FREE – just the way you want to feel on holiday, that’s just how the interior of the Profila T is designed. 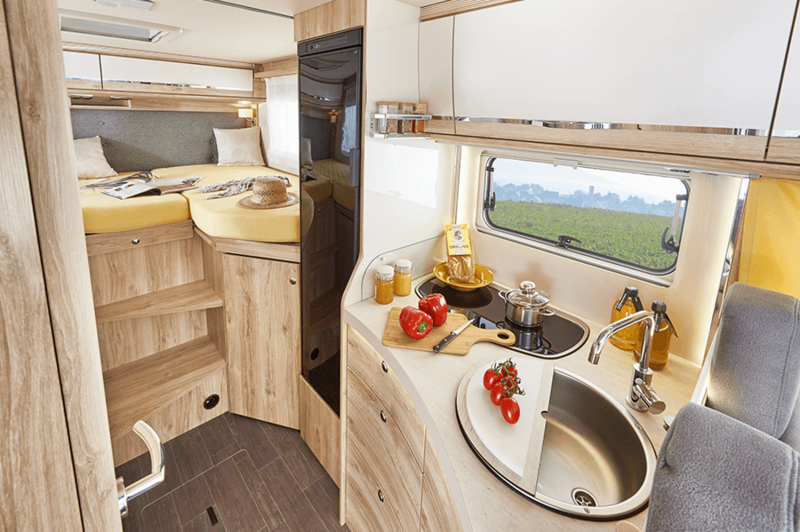 The kitchen in your Eura Mobil offers modern furniture with a wealth of practical details. 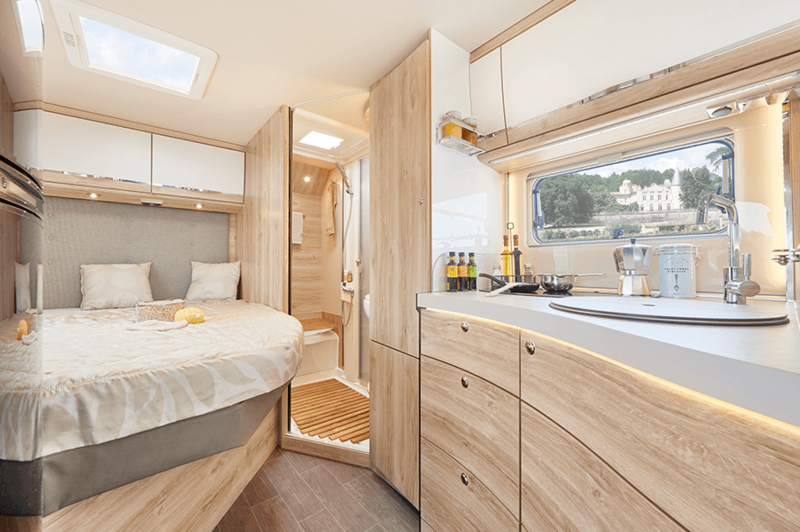 Like the tap, for example, with swivel outlet, the extra-wide kitchen drawer with chrome-plated opening button or the colour-accented worktop. 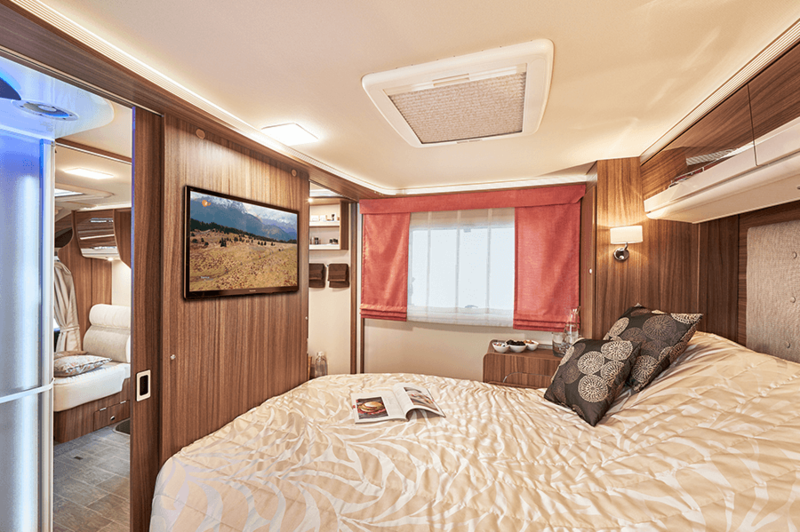 The Profila T is a popular entry level model and there are up to seven floor plans to choose from. 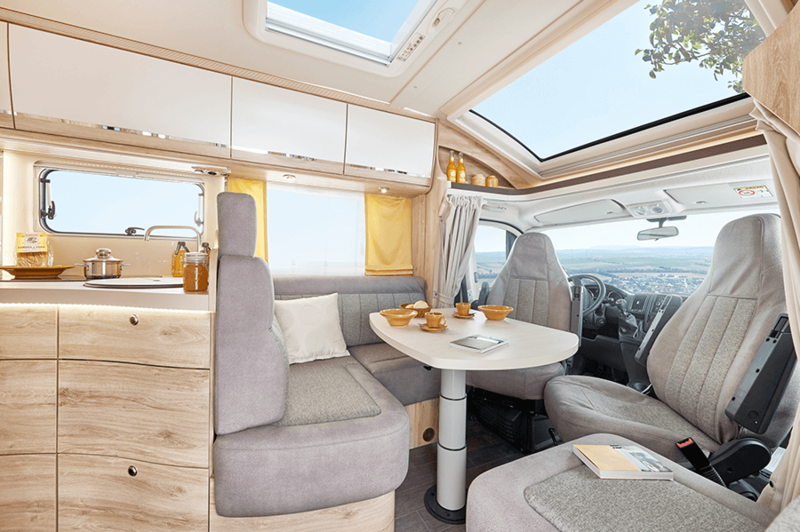 Practical cheerful interiors, sophisticated fittings, optimised cupboards, garages, and panoramic window all come as standard. 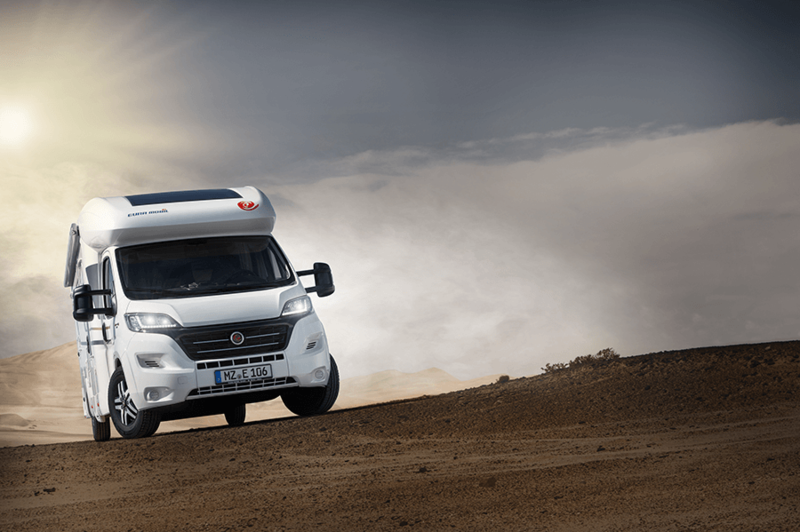 Discover places you never knew existed with a Profila T – and then simply enjoy your day.